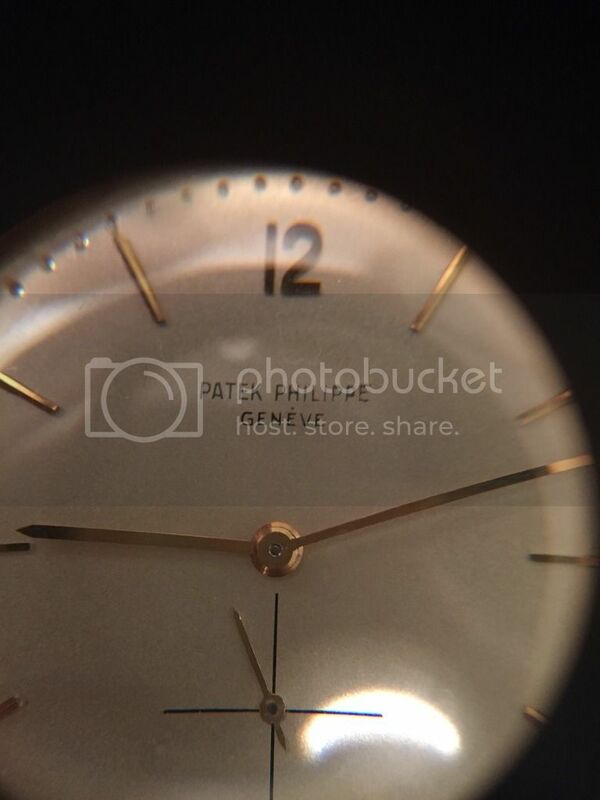 TimeZone : Patek Philippe » Patek 2572-redial? I recently acquired this reference and noticed some irregularity at the end of "PHILIPPE" on the dial? Is this a redial, patina, or what? Previous Topic: I've not seen much interest in this Patek... thoughts?